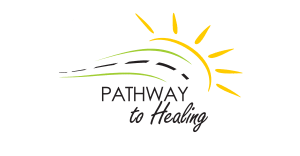 Pathway to Healing – Recovery Support Group is a 14-week confidential Christian-based substance abuse and domestic violence support group. Our purpose is to support and educate those who struggle with substance use and domestic violence through the Word of God and the 12-steps for providing healing and deliverance that is cultivated in God’s love. Our mission is to provide a pathway to healing for those seeking deliverance from the effects of substance abuse and domestic violence through the power of God. Our vision is to see the power of God working in the lives of those who struggle to be free from substance abuse, domestic violence and its negative influences in their lives and bring them into a place of healing and restoration. If you or someone you care about is looking for help, please join us. Don’t wait! Contact the Church Office at 703.548.0339 for more information.